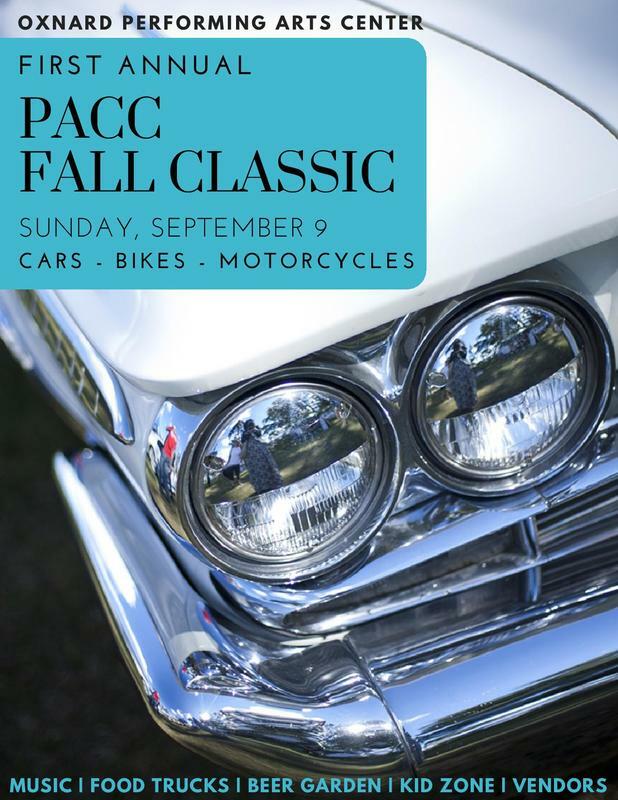 ​We’re teaming up with Gabe Robles (of Cruiser’s Car Club fame) to present our first annual PACC Fall Classic. This car show will bring together dozens of Oxnard’s finest rides for a 22-category, juried competition. We’ll have trophies for all the winners, activities for the kids, food trucks, a beer garden, vendors, and more! Calling all Vendors + Car Enthusiasts! ​Sell you unused car parts, or find that classic piece you've been searching for at our Car Part Swap Meet! Admission is free and for all ages! Interested in entering your timeless car, bike, or motorcycle?